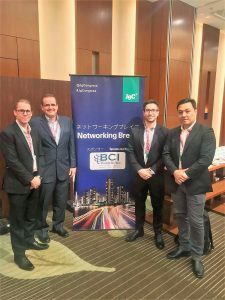 BCI Worldwide was represented well this past month as team members from Asia and North America attended two high profile conferences. On May 10-11, members from BCI Worldwide Asia attended the Japan Gaming Congress (JgC) to gain better insight and understanding into the proposed Integrated Resort (IR) legislation in Japan. On day one of the conference, BCI Worldwide Asia sponsored the first networking break where attendees were able to meet with high-level decision makers from many of the most prominent IR operators in the world, including: Caesars Entertainment Group, MGM Resorts, Wynn Resorts, SJM, Galaxy Entertainment Group, Mohegan Gaming and Entertainment, Melco Resorts, Societe des Bains de Mer (Monte-Carlo), and Foxwoods Resort & Casino. The JgC was a two-day educational forum held in Tokyo that offered clear, practical insight & understanding into the casino legislation in Japan. BCI Worldwide sees Japan as one of the future powerhouses as it relates not only to IRs, but to tourism as a whole. The conversations and interactions had at the JgC will continue to guide and position BCI to be a key player for when IRs are finally approved and break ground in Japan. 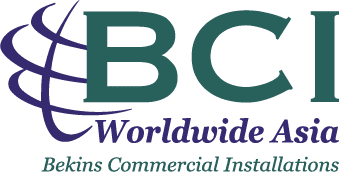 On May 15-17, members from BCI Worldwide North America attended the HD Expo at the Mandalay Bay in Las Vegas. The HD Expo is the premier trade show and conference event for hospitality interior design capturing over 10,000 attendees each year. Industry professionals including owners, operators, consultants, interior designers, purchasing firms, and architects often come to network and seek out the newest designs, trends, and solutions from suppliers all over the world. 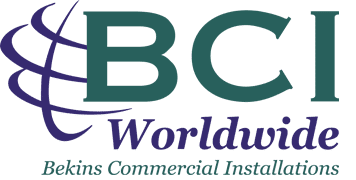 Members from BCI Worldwide North America met with both legacy and prospective customers to discuss industry trends, recent successes, and the future as a whole as it relates to the hospitality industry.